Kurzeme is situated in the west of Latvia and has a long coastline with beautiful white sandy beaches. Here you can swim and surf. Besides the large port cities at Liepaja and Ventspils are many small fishing villages which are certainly worth a visit.Inland are vast natural areas, lakes, rivers and many ancient towns with (cultural-historical) sites. The landscape is varied flat and hilly and therefore ideal for beautiful walks and cycling trips. You can also do many other outdoor activities! 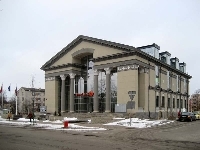 In the summer months there are many festivals and events in Kurzeme. Vidzeme is the northern region of Latvia and has a varied landscape: forests, rolling hills and vast wetlands. In addition, Vidzeme an unspoiled coastline with quiet and beautiful beaches.The town of Sigulda is often used as a base because the city easily accessible from Riga and because there is much to see and do in the area. The Gauja National Park has an overwhelming nature with many outdoor opportunities.A little further to the northeast lies Cesis, a typical Latvian town with a medieval atmosphere where you go back in time.In the winter is skiing possible in Vidzeme. Various hills in Vidzeme can be skied. Latgale, the eastern region of Latvia. 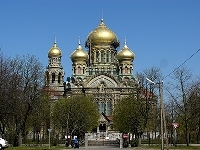 The culture of the neighboring countries, particularly Russia is clearly noticeable. Often there are more people that speak Russian in stead of Latvian.The Latgale region is characterized by the many lakes and is also known as “Latvia’s lake district” called. This offers great opportunities for swimming, sailing, surfing, canoeing and fishing.In Latgale there are different religions and many churches: Lutheran, Roman Catholic and Orthodox. The famous Basilica Aglona annually attracts thousands of pilgrims. In 1993, the Pope spoke to the people when he visited the basilica.The regional capital is Daugavpils, after Riga the largest city of Latvia. Zemgale is the southern region of Latvia. It is an elongated region, bordering Lithuania. It is an agricultural region with many rivers that cross the country.Zemgale is very rich in castles, mansions and magnificent palaces. The most spectacular palace is the Rungale palace. The palace has 138 rooms and is restored, mainly in the Rococo style. Around the palace is a vast and beautiful garden in Baroque style.